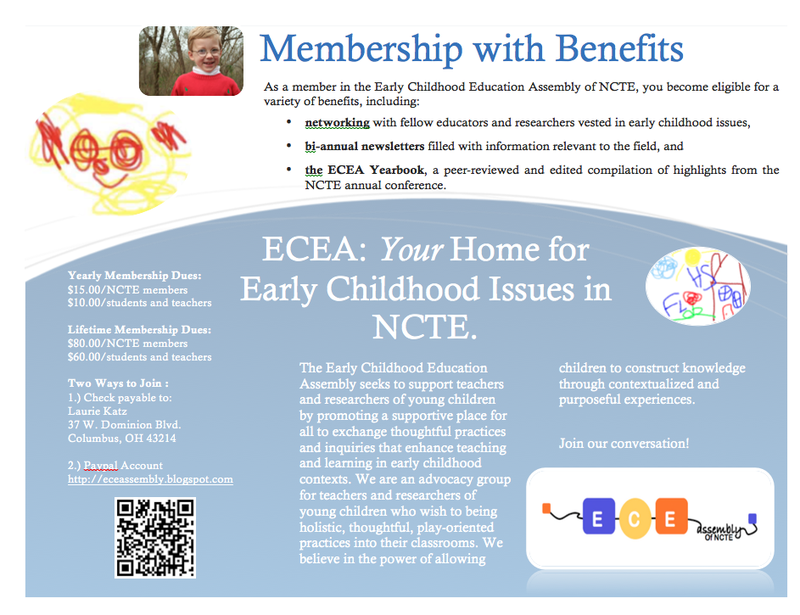 Early Childhood Education Assembly: Shiny New Membership Pamphlet! It's sometimes tricky to remember that, despite the soaring temperatures we've seen across the country in the past few weeks, the start of school is just around the corner. Those of us behind the scenes at the ECE Assembly of NCTE have been hard at work this summer, prepping for the upcoming school year and have some exciting things in the works! 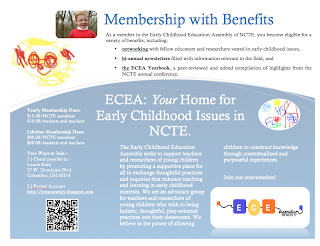 One of our summer tasks was to create a shiny new membership pamphlet to help expand our membership. We seek to create a rich conversation around issues and trends in early childhood education and the more voices joining in, the better the conversation. That said, we have a favor to ask: could you help us get our new pamphlet out to people who would enrich our conversation? The complete pamphlet is located here, ready to spread the word about our organization. A thank you in advance! And now? Let's go enjoy these last few weeks of summer! Personally, I'm going to go find a good book and beach to read it on. Happy summer!